Ingredients: Deionized Water, Hypnea Musciformis Extract And Gelidiela Acerosa Extract And Sargassum Filipendula Extract And Sorbitol, Cetyl Palmitate, Stearic Acid, Stearyl Benzoate, Butylene Glycol And Burnet Extract And Cinnamon Extract And Ginger Extract, Glycerin, Alpha Tocopherol, Cyclopentasiloxane, Witch Hazel Extract, Hypericum Perforatum Extract, Thyme Extract, Horsetail Extract, Licorice Extract, Nettlye Extract, Glyceryl Stearate, PEG-100 Stearate, Sodium Hyaluronate, Allantoin, Panthenol, Phenoxyethanol, Carbomer, Trethanolamine, Methylparaben, Trisodium EDTA, Propylparaben, Butylparaben, Ethylparaben, Isobutylparaben. Moisturizers are an essential step in everyday skincare. 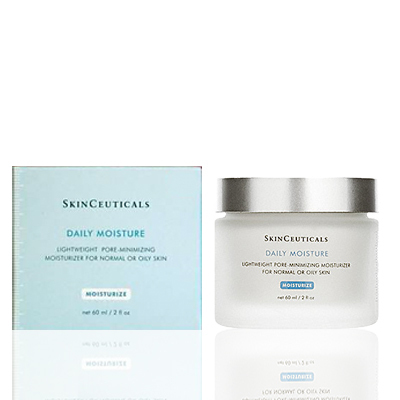 A heavier type of moisturizer are more suitable for dry skin type, while the opposite is true for oily skin. This is a light moisturizer, and thus good for oily or normal skin type. Contains Vitamin E and useful botanical extracts to restores and repair. On the plus side, this product has Vitamin E, very light weight, non-sticky, and with good botanical / seaweed extracts which makes it a very good moisturizer for oily skin type. However it contains burnet, cinnamon and ginger to help reduce pore size, which to date does not have conclusive substantiation, and possible irritation to sensitive skin individuals. So do not expect it to have visible pore reducing effect. Further, the ingredients are light sensitive, so with the big glass bottle and large opening, one should keep it in the original paper box when not in use, screw it tight, and never put it under sunlight, direct or indirect. All in all, it is a good light weight moisturizer for oily skin type, or people looking for sea extracts for skin repair and protection in a formula.